Afghan National Army soldiers and U.S. Marine trainer Cpl. M.A. 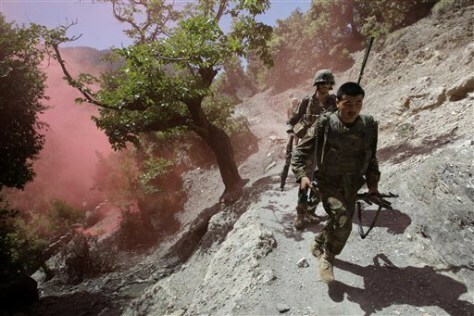 Manning run through a cloud burst from a smoke grenade they dropped to obscure their retreat as Taliban fighters opened fire in the village of Aliabad in the Korengal Valley in Afghanistan.